• Simplistic Eco-conscious design that is focused o n functionality and creating a breathing family environment. 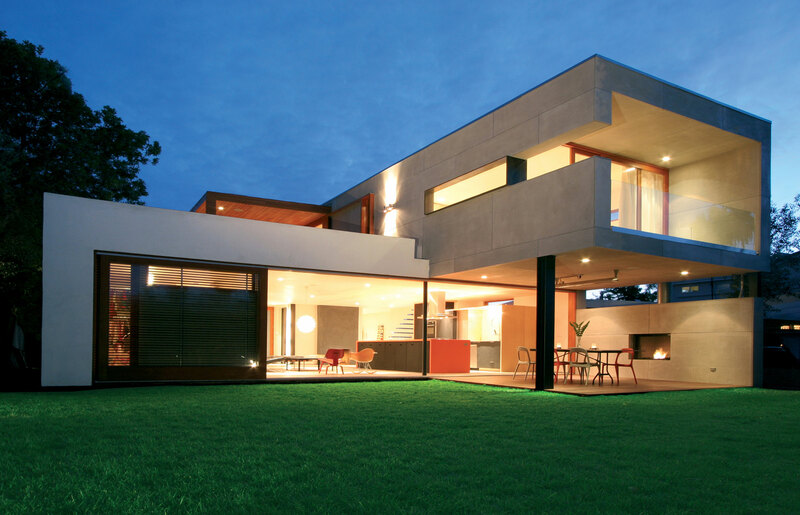 • The house is oriented on the site to better take advantage of natural light and winds. • Maximum use of natural light to cut down electric al cost. • Conscious effort in using only materials in their most organic form. • No use of chemicals, carpets, tiles or paint. 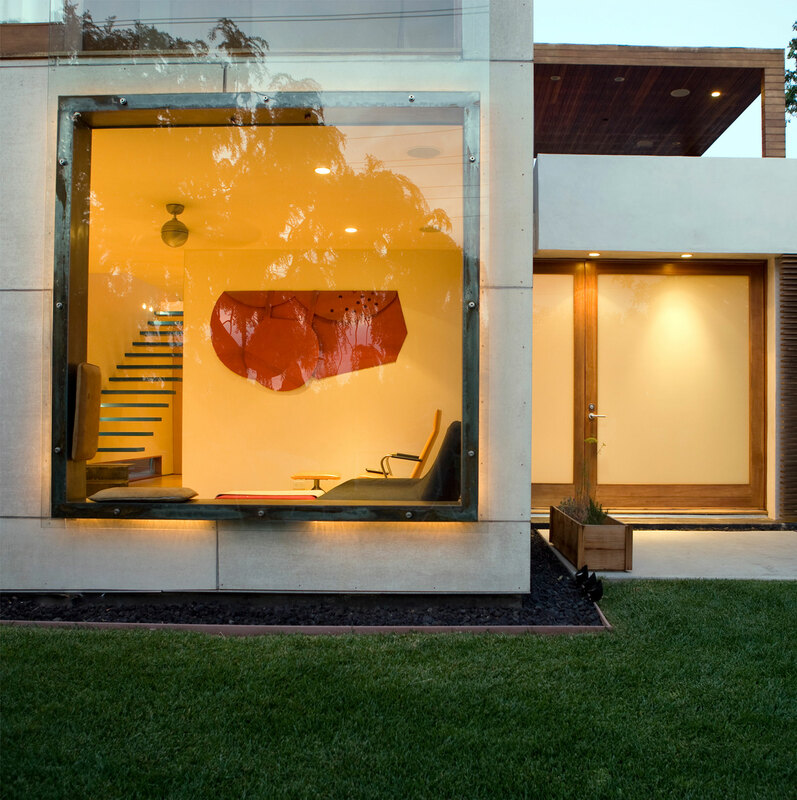 • Exterior panels contain 30% recycled materials. • Heated patio for outdoor dining maximizing outdoor/indoor living. • Floor material connected in an unobtrusive manner to increase floor plan flow and space. • Design and use of color inspired by dramatic landscape to create contrasting stimulating interior. 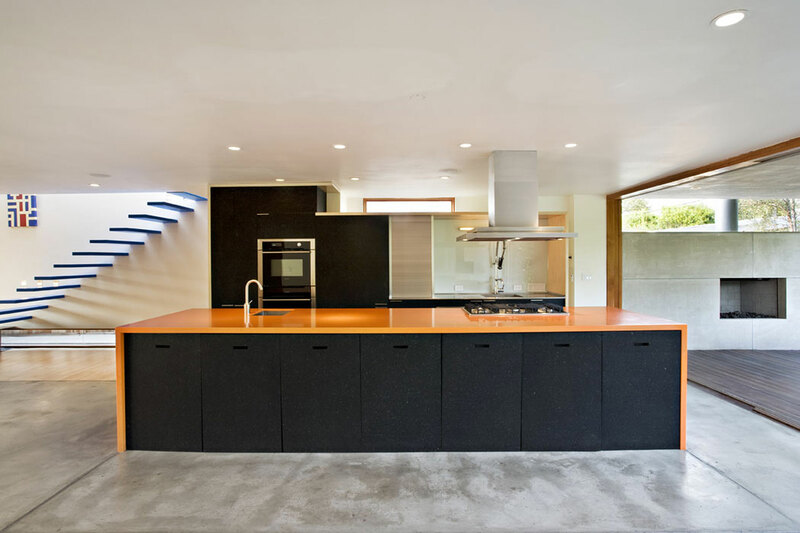 The orange (volcanic) kitchen island creates a multi-functional gathering point in the heart of the house. The blue (liquid rubber) staircase (waterfall) combines elements of strength and infinity. Use of black lava to create visual contrast and to enhance the exteriors. • Windowsill in family room made of steel creates an additional seating area with magnetic cushions that can be rearranged to ones needs. • Front windows glass extends above to create external railing for upstairs bedroom. 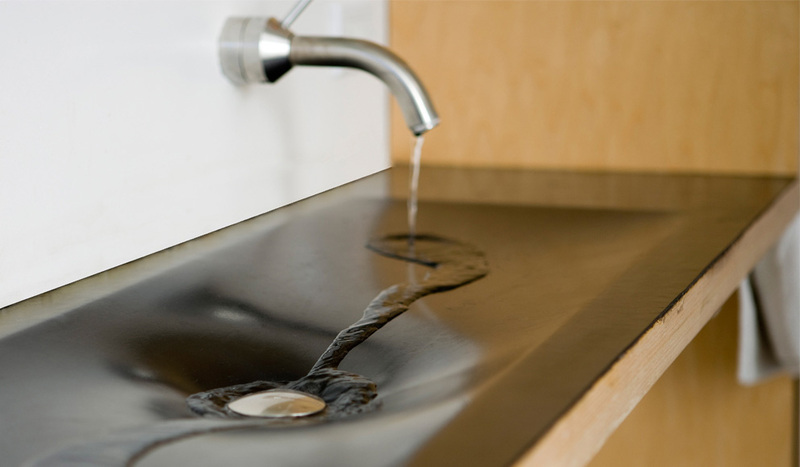 • Inexpensive recycled silicon rubber material used for bathroom sinks chosen because of its great sustainability. • Material made out of recycled tires is used on kitchen cabinetry and kitchen chairs, making the kitchen remaining its elegance unaffected by wear and tear of family life. • Kitchen chairs are easily stored under island to maximize usage of space. 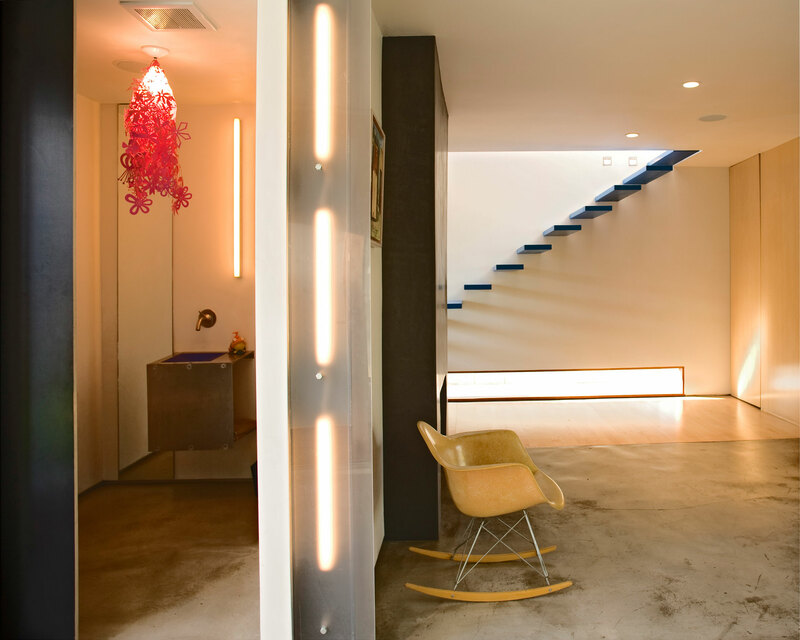 • Light design in I structural beam in order to make indoor use of structure and create ambiance. • Upstairs bookshelf functions as railings/barriers between floor plans. • Headboard in master bedroom echoes kitchen island and operates as storage for clothing. • Pebble stones on master bedroom balcony floor warm up in the sun creating health beneficial reflexology walking grounds. • Outdoor sleeping area for healthy living.